Why does the same product look different in my shot than it does in an example from a different studio? The picture on left was taken using a different camera/lens in a studio, however the one on right is taken by me using Canon 70D 18-135mm. 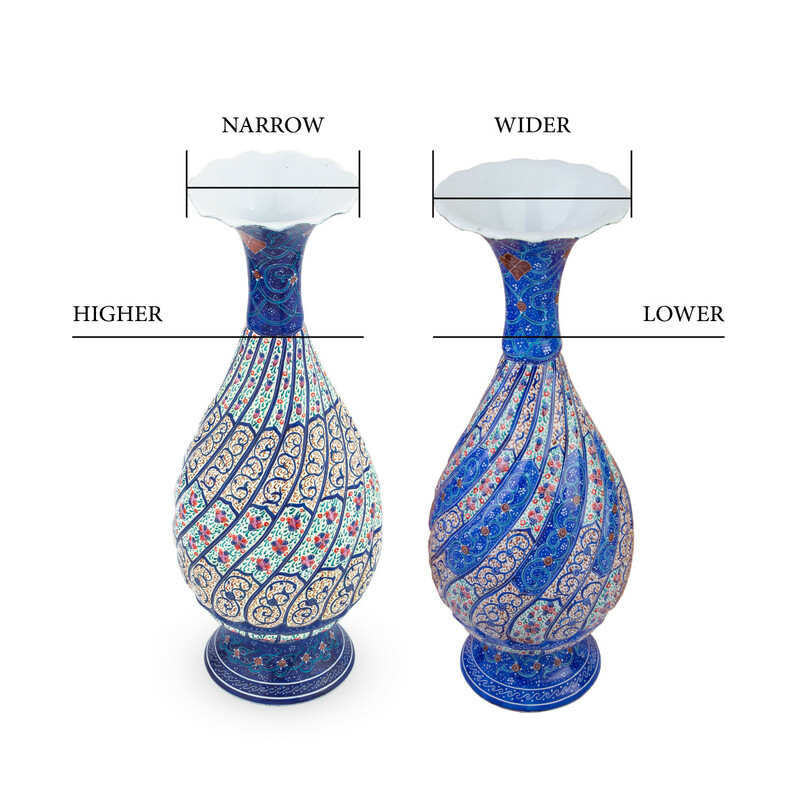 The issue with my picture is that the top of the vase is too wide whereas the left one is looking okay. I'm assuming the issue has to do with my lens so can you please tell me what lens I should be using. We're talking about perspective here. How far you are from your subject affects the way your subject's proportions look. Try shooting the same thing with the 18-135, say at 135 mm, but this time forget for a while about filling the frame properly and step back a meter or two (while keeping the same angle). Take the shot, then crop it in software so that it has similar framing to the one from the studio. Proportions should be the same now (or at least closer to one another). This happens because you're shooting the vase from above (hence you're always closer to its top than to its bottom). If you're close to it, say you're 0.5 m away from the top, that would make the bottom approximately 1 m away; if you step back, however, you may happen to be 3 m away from the top, but 3.5 m away from the bottom. Of course the measures are rough, but they're just for the sake of the example. Once you have the distance increased by 100% (0.5 vs 1 m), the other time you have it increased only by 1/6 (3 vs 3.5 m). Think of a zoom lens as a way to physically crop a picture while taking it. A photo taken with a 200 mm lens would have the same perspective as a photo taken from the same distance with a 100 mm and then cropped accordingly. Zooming in doesn't change your perspective; moving closer or farther does. If the other camera was a Nikon, then it's a probable case of sensor dimension difference. Nikon APS is 1.5 and Canon APS is 1.6. So, same of everything may give you such different image. How to photograph a tire tread without getting a bulge effect?